The 2.4 GHz whip antenna is a compact, omnidirectional high performance antenna for 2.4 GHz band including WiFi, ZigBee, Bluetooth, Video, ISM, etc. This antenna is included in several RF Explorer models such as 2.4G, ISM Combo, 3G Combo and 6G Combo. 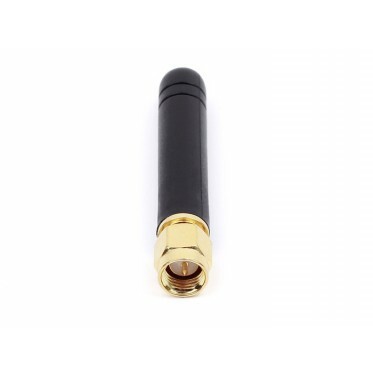 You can order this as replacement if your original antenna got damaged or lost, or as an extra antenna for multiple purposes such as using it with RF Explorer Signal Generator. 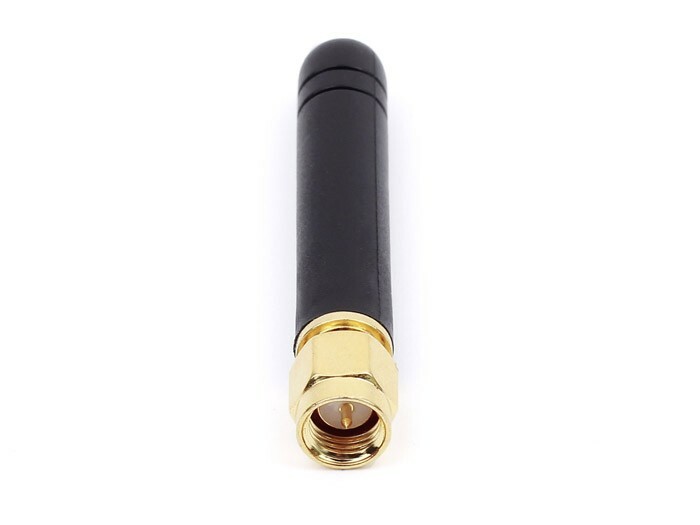 Feature: Whip antenna for 2.4Ghz with SMA male connector Same model included in several RF Explorer models Specification: Impedance: 50 ohm Characterized response: 2400-2500Mhz VSWR: <1.8 Gain: 2dBi Max power: 25W RoHS compliant Part List: 2.4GHz Whip Rubber Antenna X 1 For technical support and suggestions, please visit our forum.